Traditional, Transitional, Contemporary: Which Kitchen Design Suits You Best? Have you always wanted to do a kitchen remodel involving ornate cabinetry and crown molding, in keeping with your desire for a more traditional style in your kitchen? Or do your style preferences lean toward clean lines and polished steel fixtures? As a homeowner, it’s good to have some sense of your style options before talking to kitchen remodel design experts. Kitchen designs come in many flavors, but home improvement experts generally categorize them into three main styles. Let’s take a look at characteristics of traditional, contemporary and transitional kitchen remodeling designs to find what best suits your lifestyle. If you prefer luxury and elegance that’s reminiscent of centuries past, then traditional styling is likely to appeal to you most. Think in terms of gilt fixtures and decorative elements such as glass chandeliers and detailed cabinetry. It’s a style that you would expect to see in the palaces of Europe. Simple and straightforward have no place here! Perfect symmetry and balance, rich wood grain, classic marble countertops, crown molding and fabrics like velvet are typical of the traditional style. Expect copper, bronze or brass fittings and fixtures dating back to a time when quality and class were the priority. Do you favor sleek, stylish, minimalist design? Are you a fan of built-in coffee makers, high-performance range hoods, induction cooktops, and sleek concrete or glass countertops? If you favor backsplashes in glass tile, mosaic, stone and ceramic, then the contemporary kitchen speaks to your style. Hidden outlets, under-cabinet lighting and a slew of the latest kitchen conveniences, products and gadgets are other elements you would typically expect in a contemporary kitchen. A transitional kitchen combines the timelessness of traditional design with the clean, simple lines of contemporary style. These kitchens incorporate details and design elements that seamlessly transition between yesterday and today. Considered the favorite kitchen remodel style, transitional design favors neutral colors such as shades of gray, beige and taupe and simple accessories with clean lines. Texture, rather than color, is used to add depth through elements such as a stone or glass tile backsplash or a neutral-colored or patterned rug. Once you understand the elements that make up each kitchen design, you can decide what style is right for you, determine your budget and hire a reliable contractor to help turn your kitchen dreams into reality. 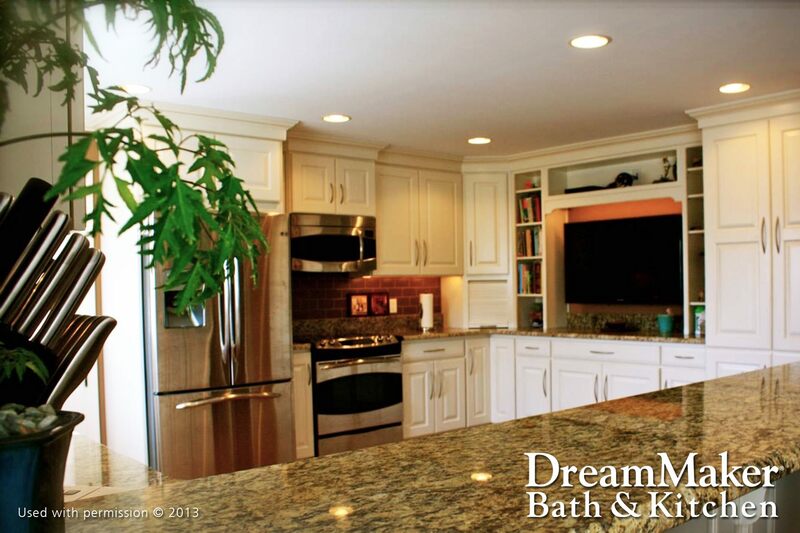 For your contracting needs, look no further than DreamMaker Bath & Kitchen of Union Grove. Call us today at (262) 923-8721 or fill out our convenient online form to schedule your consultation.